These are made of premium black leather by L&M in Canada. 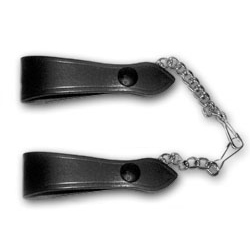 These suspenders eliminate the need for a separate sporran chain belt. Instead you can attach your sporran to a standard 2 1/4″ piper’s belt.